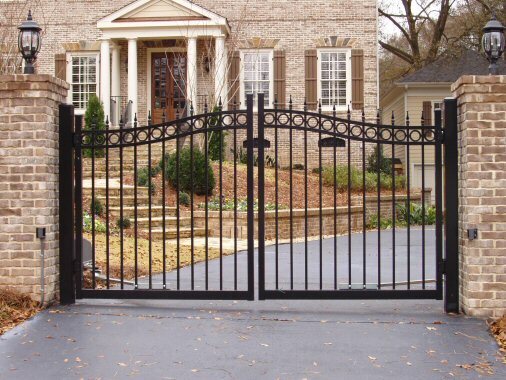 As with any piece of mechanical equipment, your security gate system will require some level of regular maintenance to keep it in optimal working order. While you should expect occasional break-downs from acts of Mother Nature, it would behoove you to view your system as an automobile: the more attentive one is to its regular maintenance needs, the longer the life of the system as a whole. Here are a few tips to help you achieve many years of trouble-free service from your Bradley Gate. Just as you regularly wash and wax your automobile to better preserve its protective (and attractive) coating of paint, you’ll want to do the same for your gate. Think proactively! It will indubitably be more costly to completely overhaul a gate’s paint job by removing, sandblasting, and repainting it than simply keeping it in good shape in the first place. Choosing not to wash and wax your gate at least once a year can lead to fading and flaking of the original paint, and eventually to problems with rust. Wax on, wax off… to keep your Bradley Gate System looking as beautiful as the day it was installed. Although we most often take pests and their control into consideration for our gardens and homes, there are certain members of the outdoor world that can create problems with your gate system, too. The most important component to protect against nesting, chewing, or otherwise slimy organisms like spiders, snails/slugs, lizards, and mice is the opener circuitry. Depending on the model you’re using, the circuitry will be contained in a box with varying levels of “pest-proofness”. The goal here is to exclude even miniscule amounts of moisture from your gate’s electrical components, as this can quickly lead to problematic short-circuits. Spider webs, snail/slug trails, and other insect activity can introduce such moisture. Also, nesting rodents can chew wires, leading to similarly annoying electrical problems. The best preventative step a gate owner can take is to regularly check the circuit box for these invaders, quickly evicting them when found. A gate system is composed of many moving parts, and—to use the automobile analogy again—you’ll want to treat the mechanical components as you would treat the inner-workings of your car to ensure optimal function and a long-lived system. When it comes to lubrication of these moving parts, your level of maintenance will depend highly on what type of system you own. Some gates will include sealed hinge and wheel (for sliding gates) bearings that will remain virtually maintenance-free over their lifetime, while others will have unsealed bearings that will require intermittent, manual lubrication. At least one other part that will require lubrication is the internal drive chain. If your system does not have sealed bearings, be sure to lubricate with a spray-on, white lithium grease at least once a year, or more often if the need arises (evidenced by squeaking, grinding, etc.). Never use WD-40 or similar quick-fix lubricants. You must choose a long-lasting, marine-grade grease such as the aforementioned white lithium grease. Another thing to keep in mind is the gradual loosening of structural connectors and electrical parts over time. It is inevitable that vibrations and expansion/contraction as a result of temperature fluctuation will result in loosening of these components. Be sure to periodically check and tighten such connections before serious problems arise. Make it an important part of your maintenance checks to survey the structure of the system as a whole to ensure that no damage to the gate itself or any of its moving parts has been incurred. Warping or bending of bars or wheel connections can create a need for the motor to work harder in order to open and close the gate. This will lead to a shorter life of the system as a whole. Regular maintenance of your gate system is essential to keeping it in working order, as its home is outdoors among the elements. Just as you care for your car to get as many years of service out of it as possible, you’ll want to do the same for your gate. It’s a good idea to keep your system on an annual maintenance schedule using the tips above (in addition to any other manufacturer recommendations) at the very minimum, as this will allow you to proactively catch potential problems before they become costly repairs. Just a few simple steps can keep your Bradley Gate System in beautiful shape and efficient working order for many years to come!